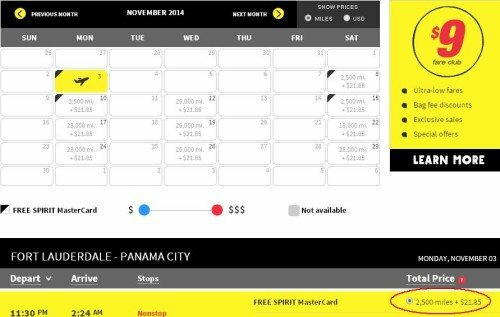 There are two sides to taking advantage of Spirit Airlines Free Spirit program. 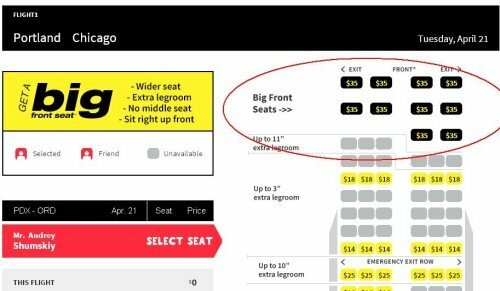 The first is finding the cheapest redemption level for your flight, and the second one is getting the best seat on the bus, which means, a Big Front Seat (reminder: an equivalent of a domestic first class service but without free booze and food). In the very least, you owe it to yourself and get an Emergency Exit seat, which is an equivalent of Economy Comfort. Finding the cheapest redemption rate does not only mean being flexible enough for an off-peak rate. In some cases, there is a trick that can help you save miles. Here is an example. For obvious reasons, we are not interested in anything that is not off-peak. 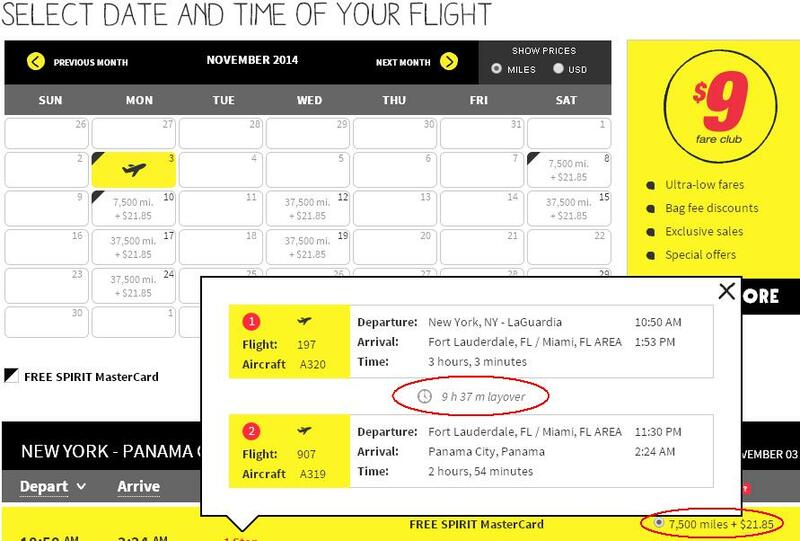 Let us say that you want to fly from NYC to Panama City. The ideal Free Spirit award redemption, as I already mentioned in one of my previous posts would be a direct, non-stop flight, but since I live in NYC, I don’t have a lot of options. Spirit is not fond of New York. 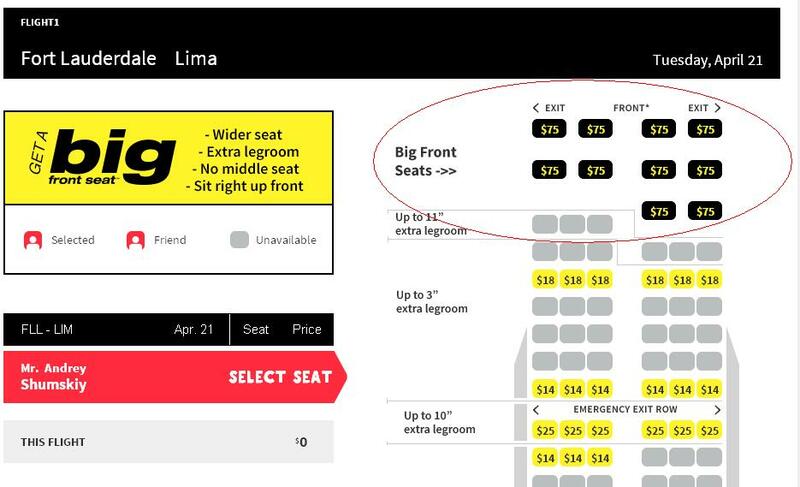 Here is how your LGA-PTY flight will look like if you book it outright from New York. Anyway, 7,500 miles for a flight from NYC to Panama City is already quite a good deal, considering that United would charge you 17,500 miles. But you can do even better. And you will still be routed via Fort Lauderdale. Nothing will change except having two reservations instead of one. So, if instead of one LGA-PTY flight, you book two: LGA-FLL and FLL-PTY, then each of them will only cost you 2,500 miles, and you will spend 5,000 miles total instead of 7,500. Of course, you will pay fees and taxes twice, so does it make sense to save 2,500 and pay extra $21? 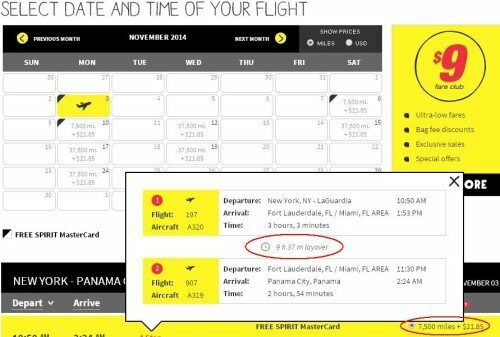 If you answer no to this question, remember that Spirit Air does not charge an award redemption fee if you book more than 180 days in advance (this fee is $15 in each of my examples). So, all you will have to pay is the extra taxes to the tune of about $11. $11 for 2,500 Spirit miles? I’ll take it. To tell you the truth, since 2,500 miles is enough to get you a one-way flight, I would gladly pay $21 too. Of course, there are people who are oh so desperate to do anything with the Spirit miles they spend them on magazines! Well, to each their own. You certainly can. If your one-way flight consists of two segments, here is the formula. Let’s say you have three cities, A, B, and C, whereas A is your departure city, C is your destination, and B is your layover airport. When A and C are in the 3rd region, while both A and B, and B and C are in the 1st, you win 2,500 miles by booking separately. When A and C are in the 4th region, while A and B is in the 1st, and B and C are in the 2nd (or the other way around), you win 5,000 miles by booking separately. Again, you will pay slightly more in taxes, since you’re booking two flights instead of one. But that’s mere peanuts. Check this chart to find more opportunities. 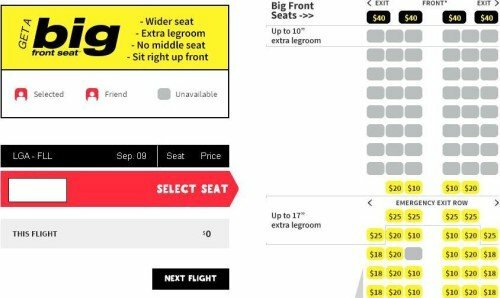 First Class on Spirit Air: the Best Bargain in the Sky! Spirit’s first is a Big Front Seat (BFS from now on). You don’t get free booze and free food, and no one calls you by name, but you do get a lot of space. In terms of the seat and the space. I have flown domestic first, and I didn’t feel that the Spirit’s BFS was any different. The recline was great, the width was great–no discomfort for a large guy like me–and my feet never hit the wall either. BFS is comfortable. Pay for the booze, and you’ll still get ahead. There are three ways of getting upgraded to BFS. The safest and most expensive way is to buy it online before on-line boarding. The second best, but riskier way is to get it at the gates (where you should be one of the first passengers). The cheapest and riskiest way is to try and upgrade on board if there is availability. Bottom line, for a longer flight I wouldn’t risk it. This is a flight between Lima and Fort Lauderdale. It lasts almost six hours and I believe it is the longest flight in Spirit Air network. What do you think: worth the money? Don’t bother, it was a rhetorical question. It is worth the money. At the very least, I would book an Emergency Exit seat, and try to upgrade at the gate to guarantee that I’m not flying Spirit coach for six hours. This is an almost equally long flight, 5 hours 40 minutes, and the BFS costs the same $75, but there is a difference. The flight above is A319, and this one is A320. A320 have only four BFSs. With that kind of aircraft, I wouldn’t risk it at all. 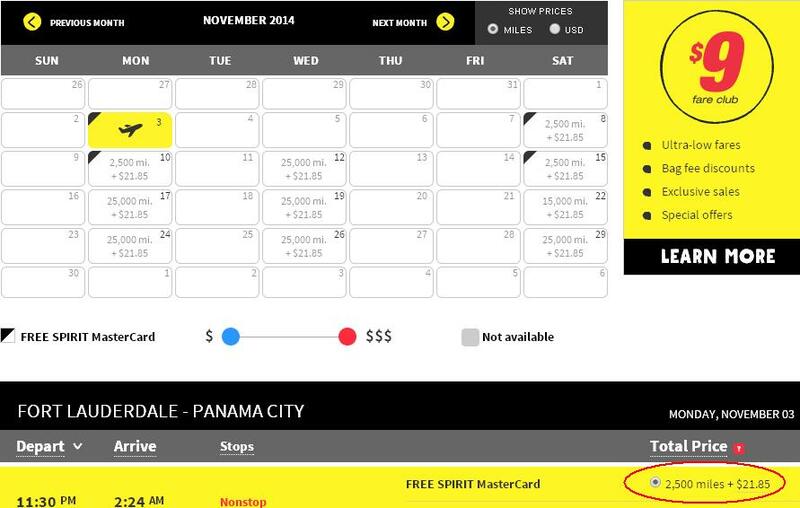 Apparently, distance is not the only consideration for Spirit Air. This is my flight between LGA and FLL that clocks at 3 hours, and the cost of the BFS is $40. In the meantime, the flight between Portland and Chicago lasts 4 hours, while the BFS goes for $5 cheaper. I don’t know. West Coast, East coast thingy, perhaps? LOL. Spirit Airlines has a reputation of being an airline for cheapskates. That’s fine, but it works even better for cheapskates in a first class seat. Is There Anything That Is Not Good About Spirit Airline? Of course, but it’s not nickel and diming; it is not fully outsourced customer service; and it is not their ridiculous marketing antics, and it’s definitely not their 3-month expiration term, which is easily avoidable with BoA Free Spirit credit card. The real problem of flying with Spirit is that they have no interline agreements with other airlines. None! When things go wrong with Spirit, your trip might be very seriously interrupted. Plainly speaking, in case of an equipment problem, they will not put you on an another airline so you could continue your journey. Delays with Spirit tend to be of epic proportions, so bad so that I would not fly Spirit for any critical trip. If you are meeting a client, flying to the wedding, connecting to another critical flight, either don’t fly Spirit or have a contingency plan. By a contingency plan, I mean, be ready to either book a new same-day award ticket with another airline or buy that ticket at the counter, if that’s not an option. I know, ouch! It has never happened to me, but it has happened! Here is the Spirit Air Flight Stats Rating. It’s not that scary, but still. Always hope for the good, but prepare for… anything. There is a reason why I believe in diversification. There are no good frequent flyer programs and bad frequent flyer programs, and Free Spirit is no different as long as you know what to expect. 14 Responses to The Definitive Guide to Gaming Spirit. Part 3: Tips and Tricks. Great post, great information, I never considered Spirit before but now it is on my radar, there are definitely some good opportunities here! Thanks for the comment, Pedro, and yes, who could’ve thought of Spirit as a viable alternative! Don’t blame ya. Thank you, thank you for writing this up! The “cone of silence” is broken! How about the $9 fare club exposé? I pack only the personal item amount of stuff! These are my favorite utility flights! Thanks for your post, John. Agree about the personal item. I always make it work when traveling alone, no problem. One thing that I didn’t see in your articles (and, maybe I missed it) is that the MasterCard gives you 2x miles for every purchase that you make. Too me, that’s huge. That means a RT ticket for as low as $2500 in spend. 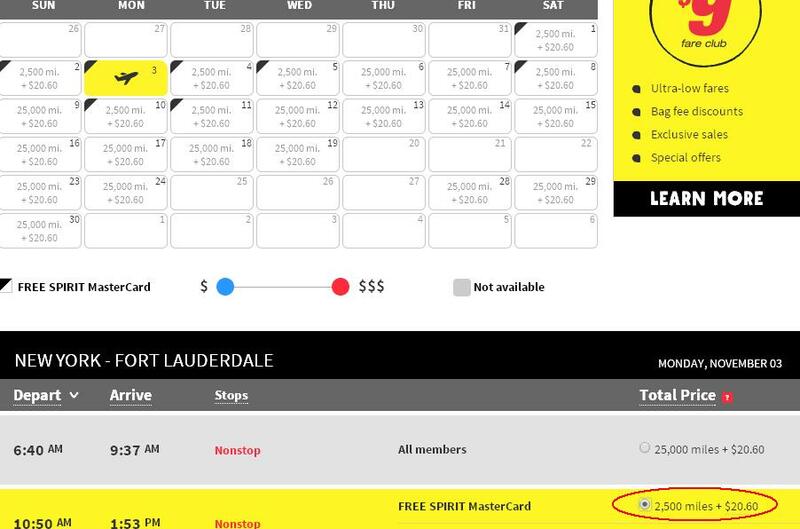 Another suggestion: if you are flying to Central America/Carribean, and you are having trouble getting award dates, you might think about using BA Avios to get you to Fort Lauderdale and back, and then use your free spirit miles to get you from FLL to your destination. I have noticed that there is much greater availability to get award dates when I put in FLL as the origination city, than when I put in ATL (which is where I would normally fly out of on Spirit). Thanks for your comments David, and great tips! Fantastic series. I recently moved to FLL and have been enjoying all of the opportunities with Avios and my WN CP, but hadn’t considered Spirit seriously enough. Do you have a link to the Spirit card that gives you comisison? Otherwise I’ll just use their site. Hi Delionita, thanks for your kind offer. I do not get paid by credit card companies, so please feel free to use a public link. Or you can try call with the $100 code from Doctor of Credit and see if it works. Good luck! Enjoyed the read and agree 100% with what you said. Spirit gets a lot of unwarranted flak. Some great deals to be had if your flexible and know the ins & out’s of the program. 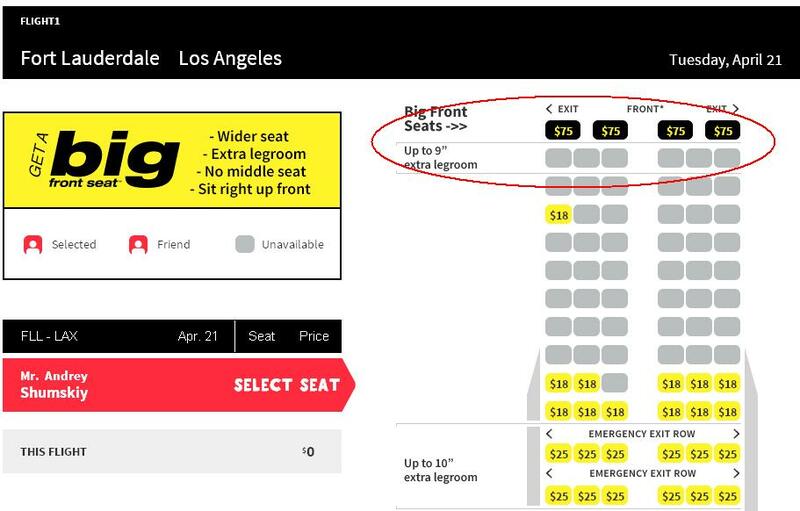 Admittedly, I didn’t realize how it can sometimes work out cheaper to purchase flight segments. Thanks for that useful piece of information. Absolutely Chris, and thank you for your comment.